How to Cut Trail Cut Dress? 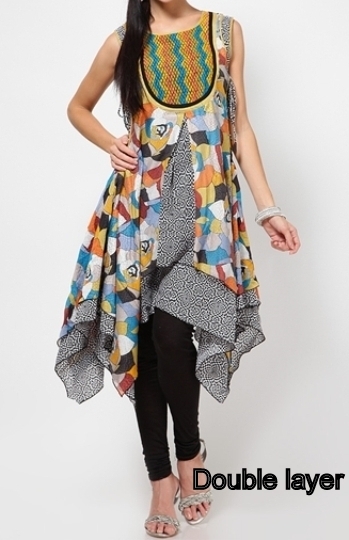 Trail cut Dress is latest in trend now. It has a simple rectangle piece skirt. Trail cut Dress sorted as a party wear. Double layer pattern makes it even more rich look. If it is short one can be paired with leggings, Jeggings and skinny jeans. Georgette, cotton, chiffon, crepe and silk. If u plans to make double layer, you can mix Georgette and chiffon with cotton. Shape (6-x-3) back armhole curve. Shape (6-x’-3) front armhole curve. Measure 6-x’-3 it should be more than ½ armhole by 3 to 4cms. Draw straight horizontal and vertical lines from point 1 and 2. Mark the meeting point of that line as 0’. This looks like a perfect square. Here is the draft for skirt part. You have to make it with 2 materials for layers one is Cotton and the other one Chiffon. Fold along the line mentioned in picture 1 & 2. Now we have 4 layers for skirt portion. Mark and cut with the above construction details. Mark little curve at 0’ corner and cut off that curve. You can avoid the above step to make variation. Take a look at the below picture for the outcome of draft. Take 2 Pieces of bodice (Front and Back) 2 Pieces of Sleeve Click HERE to know about the Cap Sleeve (Right and Left) and 2 rectangular pieces for Neck facing. 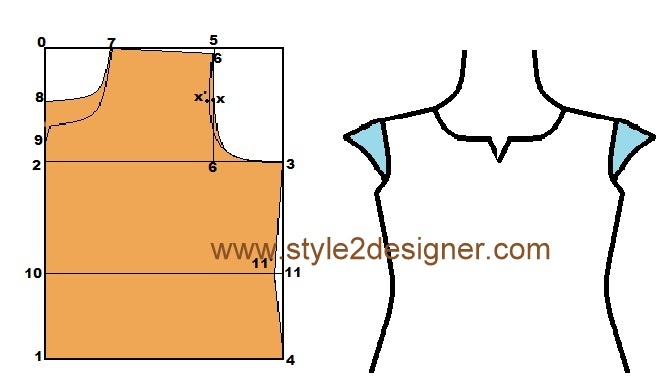 Place the neck facing rectangular pieces for the front and back Bodice pieces respectively. Make sure that the right sides are together. Pin and sew along the neck line with ¼” seam allowance. Cut the excess of facing pieces and make notches on seam. Then turn right sides out and press. Give topstitch at neckline. Place Bodice front and back pieces by facing right sides together and sew along the shoulder line to join the two Bodice pieces together. 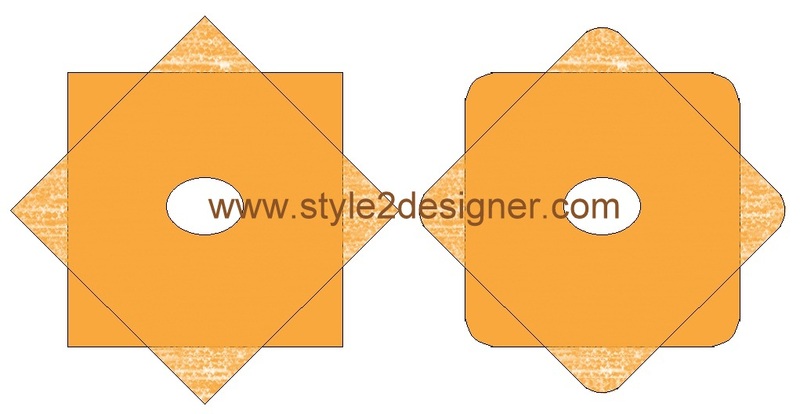 Fold the hemline of sleeve by ¼” inside and fold again ¾” inside and sew along the hemline at the edge of first folding. Place the Sleeves right side on the top of Bodice armhole area respectively. 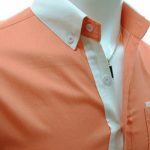 Pin it and sew along with ¼” armhole seam allowance. Turn Bodice wrong side out and sew along with 1” side seam allowance as right sides together. Then attach the skirts waistline together to make a perfect look (Refer above picture). Finish hem line. Then attach the skirt into Bodice part by facing right sides together. Now you get a STYLISH TRAIL CUT DRESS. Here is some more inspiration to make your own dress with this style. Thank you so much this was very helpful ? perfect! I need visuals and this did the trick.